Should startups be more disruptive or should they be more innovative? This was essentially the core strand of discussion at the Tipping Point #3 as the official theme for this Tipping Point was “Disrupt & Displace VS Innovate & Accommodate”. 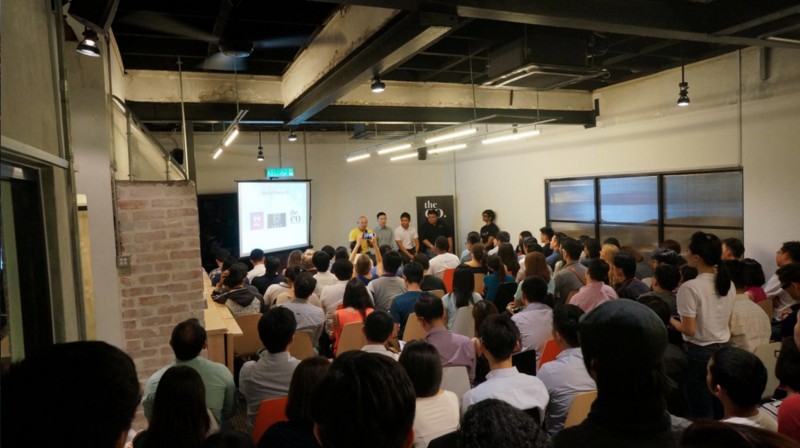 The Tipping Point is a series of community events organised by Vulcan Post, and they’re intended to provide an avenue for startups, entrepreneurs, aspiring entrepreneurs, and anyone really to converse and to learn from one another. 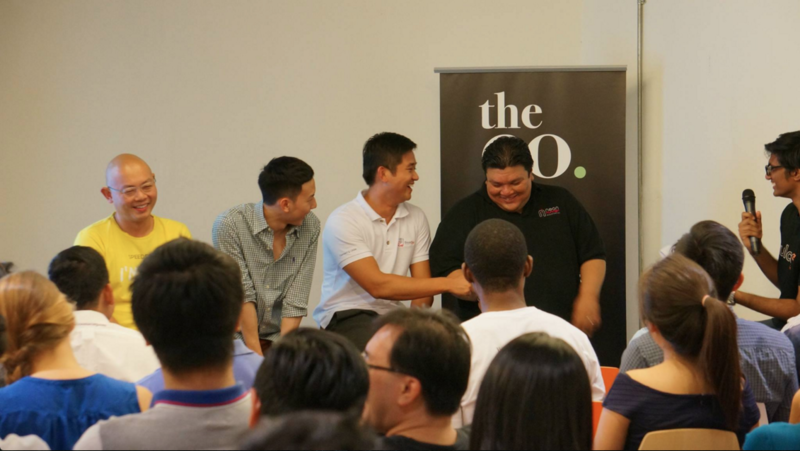 Given that this was our third installment of The Tipping Point in Malaysia, we incorporated the feedback we received from the earlier events by enabling the discourse with a panel of four notable speakers. The panel of four was split into two teams, Team Disrupt and Team Innovate, and both teams had to chime in on the challenges, opportunities and the characteristics of their respective industries. 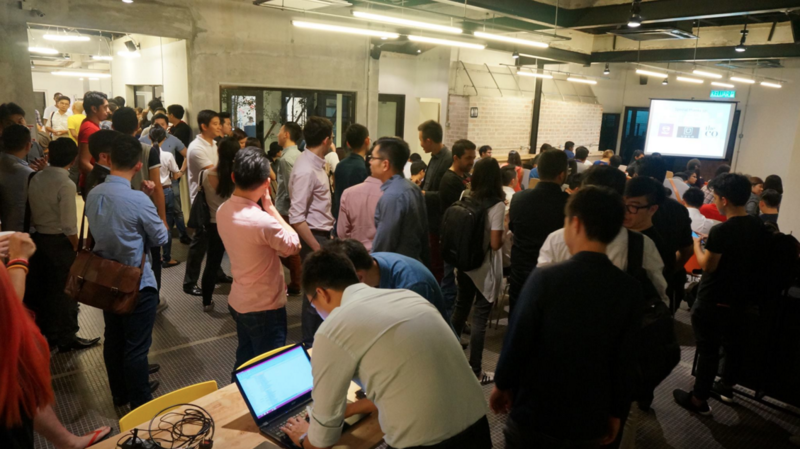 We held the Tipping Point #3 in at The Co. Kuala Lumpur, a community-oriented, co-working space that’s located at The Row in KL and Bangsar and we had more than 170 people in attendance. 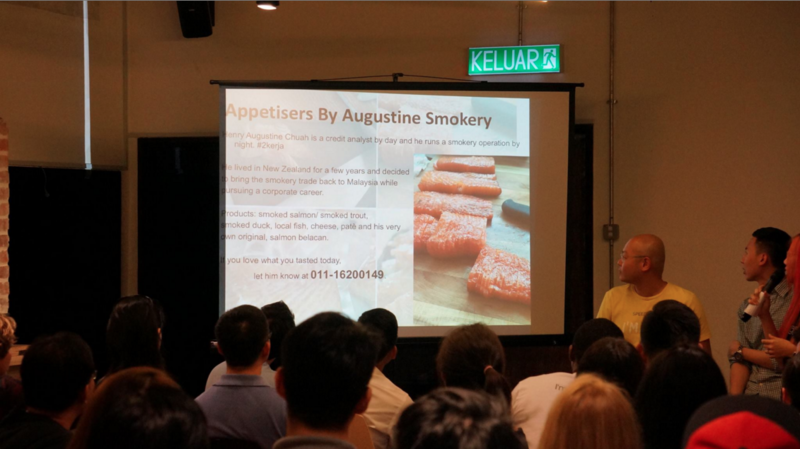 This event was made possible thanks to LunchKaki, EnParty, Augustine Smokery, The Co. Kuala Lumpur, Helpr, and Uber. By 7pm, we began seeing a small crowd gathering around the registration table. After a couple of technical mishaps, registration was in full force and the venue was getting packed. The early attendees helped themselves to appetisers (cold smoked salmon, smoked duck, and salmon belacan) by Augustine Smokery, pizzas, and gelato by EnParty. 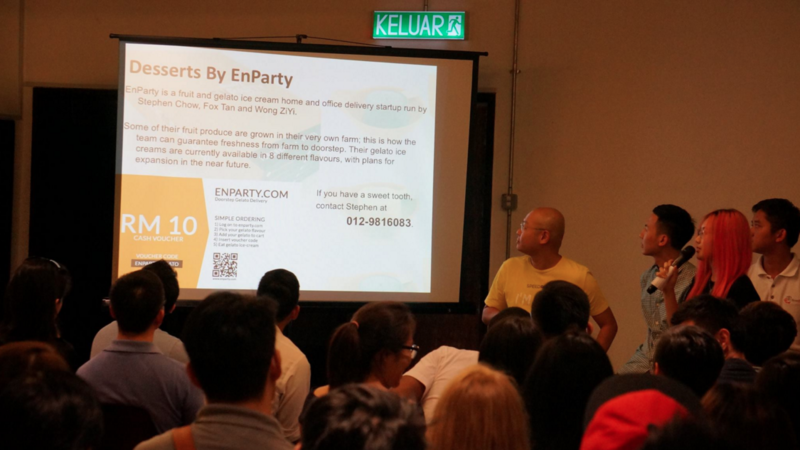 The venue was jam-packed and it was filled with friendly chatter about startups, ideas, and other topics. By 8, our editor Sarah officially got the ball rolling with a couple of introductory remarks, and soon after we jumped right into the panel discussion. Team Disrupt was being represented by Wong Whei Meng from Speedrent and Warren Chan from Parkeasy, and on other hand we had Dato’ Chevy Beh from BookDoc and M.Kanashan from NeonRunner representing on Team Innovate. The premise of the panel wasn’t to determine whether disruption or innovation was a better aim per se, but rather it was to understand how things are like on both sides of the fence. 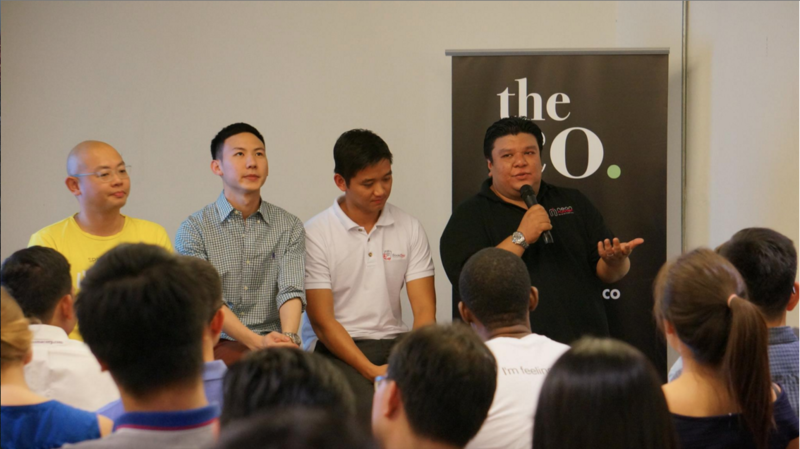 As the Vulcan Post Malaysian team, we defined disruptive startups as ones that introduce a completely new product or ones that create so much value that it completely displaces the old way of doing things. As such, we felt Whei Meng from Speedrent, a rental platform that connects landlords and tenants together without the need for property agents, would be able to share this thoughts on disrupting the highly regulated property industry. He defined disruption as innovation on steroids and he touched on how technology streamlines the entire rental process and provides us with information much quickly than agents can. He also shared his thoughts on how the Board of Valuers, Appraisers and Estate Agents (BOVAEA), was indirectly inhibiting innovation. 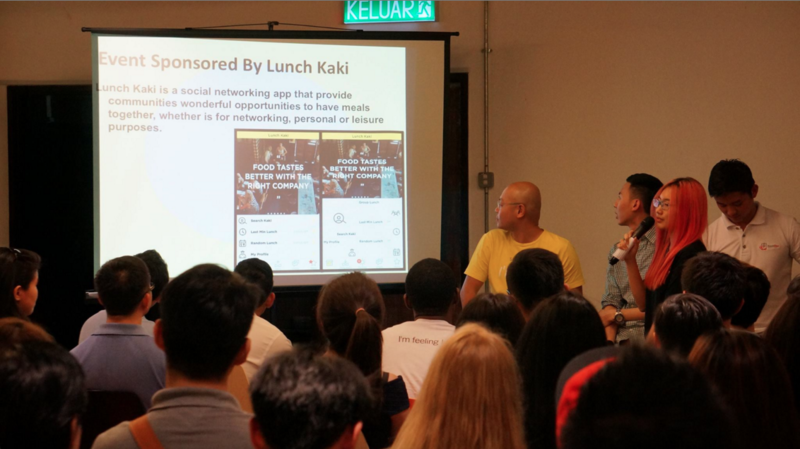 Warren Chan from Parkeasy outlined the difficult process of how they had to struggle their way through organisational bureaucracy just to get access to shopping malls and their parking lots, so that they could pilot their app. Parkeasy is a platform that’s looking to disrupt the way we park and as such, they had to deal with a significant amount of backlash from people who felt they were edging a social divide between the rich and poor. He spoke about how the team managed to handle this backlash and in the process, and to educate their stakeholders. On the other hand, we defined innovative startups as ones that introduce new methods or products to improve and elevate the way things are done in the current market. 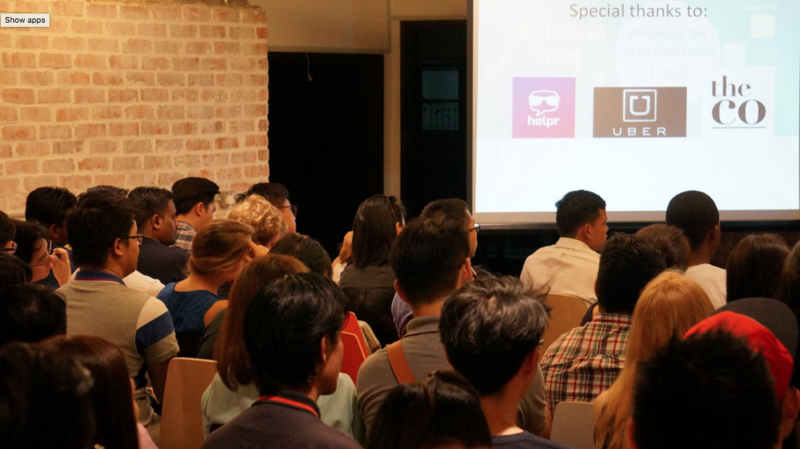 Dato’ Chevy Beh shared his experiences and the lessons he learnt from running BookDoc, an online healthcare platform that’s looking to connect healthcare providers and patients together. He shared his rationale behind building BookDoc in such a way that it appeals to corporate clients first and then targeting the consumer market. This, he believes, gave them sufficient room to steadily improve their platform to appeal to the consumer marker. He was also quite vocal about the idea of innovation as long as it’s legal and he also suggested that startups should clearly understand and study the landscape of their industries before branching out. M.Kanashan spoke about the inefficiencies of the spoke-hub distribution model and the traditional form of logistics, and how he’s trying to correct them through NeonRunner. NeonRunner is a modern day logistics company that operates a fleet of motorcycle couriers that focuses on point-to-point deliveries. He shared his thoughts on what’s required to ensure that same-day delivery becomes a reality and also their fight to empower the runners of their industry. He also outlined how they had to deal with challenges while doing so and the importance of building a flexible network to cater to businesses and e-commerce platforms. All in all, the discussion was very informative and as the moderator, I felt a lot from the four speakers about the different facets of their industry. As the Vulcan Post Malaysian team, we would like to thank LunchKaki, EnParty, Augustine Smokery, The Co. KL, Helpr, Uber, our fantastic speakers, and everyone else who took the time to make the Tipping Point #3 a success. We sincerely hope that everyone had an enjoyable time and we also want to thank the guests who were so dedicated to join the event that they stood at the back just to listen to our panel of speakers. We’ve uploaded pictures of The Tipping Point #3 on our Facebook page, try to spot and tag yourself here! We are always on the lookout for people who can contribute to making our next event (The Tipping Point #4) an even better one. If you’re interested to be part of our event (event venue host, caterer, speaker, etc. ), do contact Sarah at enxhi@vulcanpost.com.